The community action project La Meri Productions, in which elParlante works offering advice and suport to young people from Ciutat Meridiana, was chosen as the winner of the Competition for Coexistence and Social Cohesion 2017, among eight proposals from the District of Nou Barris . The contest is an initiative of the 9Barris Acull Network that seeks the recognition of the initiatives that work in the District for the cohabitation and the incorporation of the new neighbors who have arrived with the immigration. 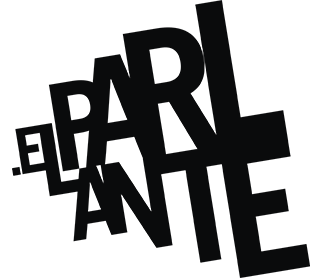 The Board for Diversity in Audiovisual (MDA in Catalan), promoted by the Audiovisual Council of Catalonia (CAC in Catalan), recognized the work of elParlante in the VI Audiovisual Awards for Diversity 2014. The project Disassemble TV (Desmuntatòpic in Catalan) supported by the City Council of l'Hospitalet de Llobregat, was developed and undertaken by The Boys and Girls Council from l'Hospitalet. In the show the youth discussed about stereotypes from the media and videos were made with a new look on cultural diversity.e Catalonia has awarded elParlante. Participation in the TanjaZoom was the prize awarded by the jury of the BcnZoom, a short film festival jointly carried out by Casal dels Infants and The Youth Council of Barcelona. The BcnZoom awarded the short film “Un Instant” (Just a moment) made in the framework of Ciutat Esperança, a project by elParlante in collaboration with the Pla Comunitari of Ciutat Meridiana and the support of the Department of Community Action of Barcelona. The TanjaZoom Social Film Festival values ​​and rewards the educational, social and cultural work carried out by youth associations in the neighborhood of Beni Makada. The short film produced by Adrian Jay, part of the team of our project Ravalead@s TV has received a special mention from the jury of the cinema show MIRADOCS in Barcelona. The prizes are aimed at authors and documentary authors where the city of Barcelona is the protagonist. The Adrian's story talks about his perceptions of the neighborhood and the city registered by the camera, and also express the ideas he draw and write in his notebook.